This shirt has a great bold pattern. 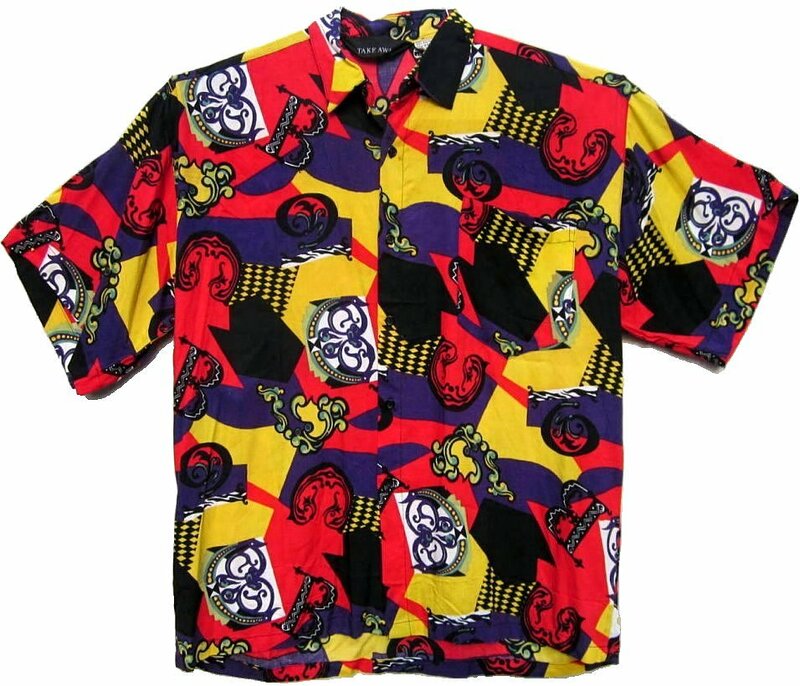 The colors of the rayon shirt are dark yellow, a bright red, black, white and true purple. It is an oversize L or a today's loose XL. It is 52" around at armpit level for a 48 chest fit. The shoulder is 23.5, an XL or very oversized L fit. The length is approximately 30". The vintage shirt does not show any obvious sign of wear. There are no spots.